It is a constant challenge for artists, photographers and creative professionals to promote their work and gain new clientele. Thankfully, the Internet provides an avenue where people can connect to other people wherever they are in the world in a very efficient manner. In order to take advantage of this infrastructure, artists who want their portfolio to stand out from the crowd need to put up well designed websites to effectively exhibit works of art and other creative output. 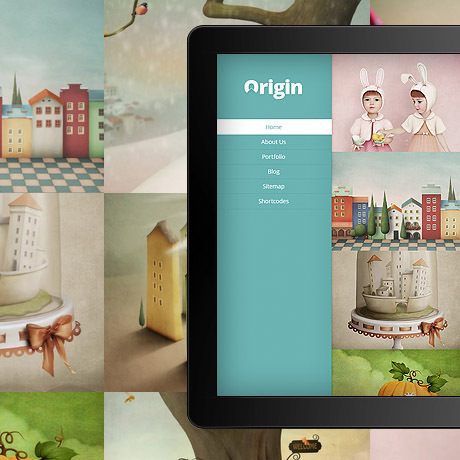 Origin Premium WordPress Theme is the latest theme from Elegant themes targeted at creative professionals. It is designed to be a showcase solution for creative work and it does so in a stunning way. This premium WordPress theme’s take on the grid layout is not uncommon. What makes it stand out is the attention to design details and concern for the user experience. The theme can give visitors an overall view of the portfolio, or it can also serve as a one page catalogue for whatever images, products or projects that need to be showcased. Origin is beautiful eye candy but catching a potential client’s eye is one thing, converting him or her into a loyal customer is another. 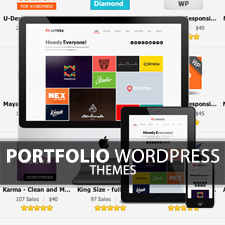 This portfolio styled theme has what it takes to deliver both. This responsive theme serves as that portal where the the target clientele can go beyond admiring the work and actually connect with the creative professional and eventually work together. 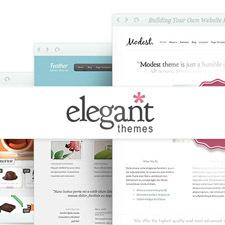 If you haven’t seen Origin Premium WordPress Theme in action, head on over to Elegant Themes and take it for a spin. You’ll be glad you did. Origin Premium WordPress Theme includes top-notch tech support provided by Elegant themes’ support staff to help you setup your site and get it running in no time.